Since fiduciary duty and regulatory rules require advisors to protect client privacy, you can't simply contact the kids to report a parent's mental slide. However, ignoring suspicious symptoms may lead to later charges of malfeasance by a client's family. Head off potential liabilities and protect your clients from abuse by planning together how to address diminished capability later in life. Since fiduciary duty and regulatory rules require advisors to protect client privacy, you can’t simply contact the kids to report a parent’s mental slide. However, ignoring suspicious symptoms may lead to later charges of malfeasance by a client’s family. Elder law attorney Carolyn Rosenblatt and Dr. Mikol Davis, a psychologist specializing in geriatrics and the emotional challenges of aging, have developed webinars and other tools to help financial firms and advisors spot dementia in aging clients and take action when cognitive disability is suspected. 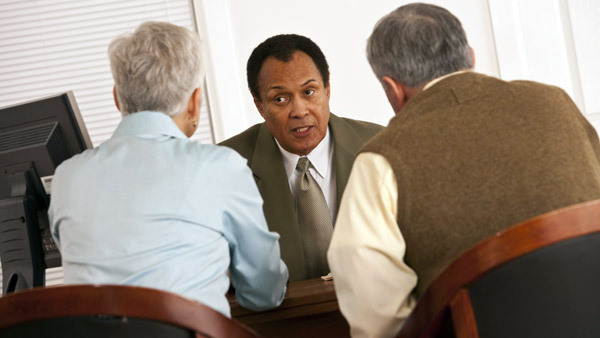 “Since a third of your clients who reach age 85 are statistically likely to have Alzheimer’s disease or another form of dementia, you need to have a plan in place in the event that a client shows signs of diminished capacity,” said Rosenblatt. If you became impaired for any reason and could no longer make financial decisions for yourself, whom would you want to take over for you? Would you sign a durable power of attorney appointing that person to specifically act on your behalf with us if you became incapacitated? Would you be willing to sign a waiver of your privacy rights that allowed us to contact someone you’ve appointed if we became concerned about your mental capacity to make safe financial decisions? (If appropriate) Have you had any conversations to help your heirs prepare for handling the inheritance you plan to leave them? In the event of an emergency, may we have your permission to contact someone who is authorized to act on your behalf during your emergency? Can you provide contact information for that person or persons? Have you given that person authority to act on your behalf? After asking these questions, Rosenblatt said, you can prepare appropriate documents for the willing client to sign.